A concrete breaker is a powerful percussion hammer that is fitted to an excavator to demo concrete structures or large rocks. 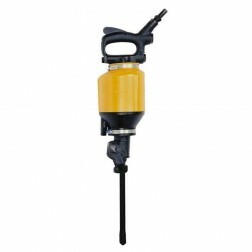 It is powered by an auxiliary hydraulic system from the excavator, which is fitted with a foot-operated valve for this concrete demolishing purpose. 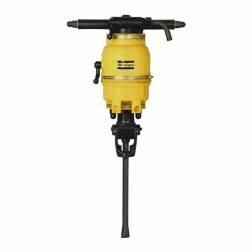 To get through the concrete fast, use concrete breaker machines. 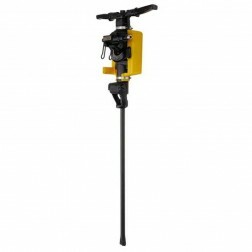 There are many different attachments available and the useful machines can be found two different power types - either pneumatic concrete breakers or hydraulic concrete breakers. Read More Tough and contractor grade they will get your job done right. 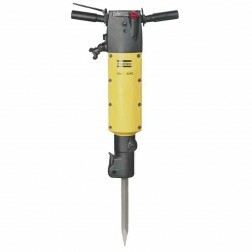 Purchase the available concrete breakers for sale below. 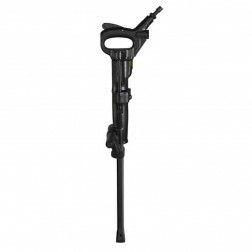 A few of the lightweight cement breakers are designed with a D shaped handles that allow the operator to pick the breaker up and operate it horizontally as well as vertically. 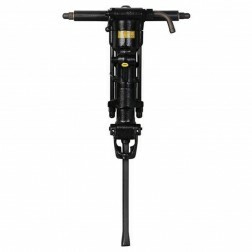 Like chipping hammers, concrete breaker machines can be powered either hydraulically, electrically, or pneumatically. The constant pounding action of breakers is normally slower than that of chipping hammers, ranging from 800 blows per minute to close to 2,000 blows per minute in comparison. Pavement breakers weigh from 30 to 100 pounds on some models. A good indication of a breaker's power is its weight. Pavement breakers weighing between 40 and 50 pounds are particularly useful for removing concrete for partial-depth pavement repair. The weight of these tools gives them the power needed to break up a just a few inches of concrete without being so heavy that they demolish the entire pavement area. 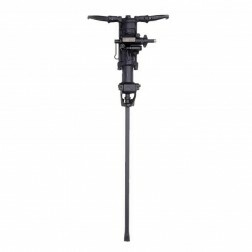 The pavement breakers weighing more than 60 pounds can easily handle heavy demolition jobs with even reinforced concrete with rebar, and are used to demolish roads and very thick concrete. One example of the type of work that the heaviest breakers do is demolition of high strength reinforced concrete found on airport runways.